Rainy, windy weather didn’t deter families from attending the annual Teddy Bears’ Picnic on Sunday. 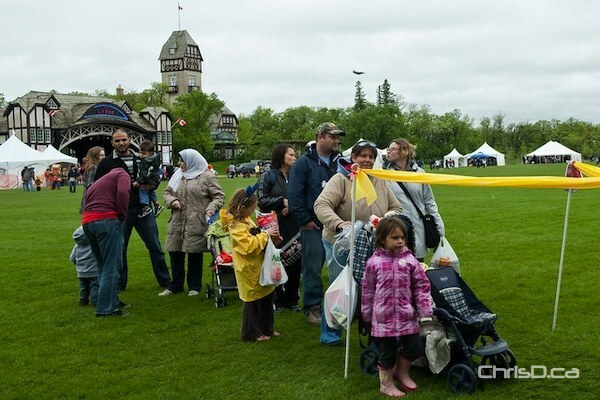 Assiniboine Park was filled with kids and parents looking for a good time. Some teddy bears even received some much-needed attention in the medic tent as well. The Winnipeg Symphony Orchestra performed on the main stage, as crafts and other activities went on in the many tents that helped keep attendees dry. The 26th annual event was put on by the Children’s Hospital Foundation of Manitoba. The fundraiser raised awareness of the work the foundation does and promoted health education. The picnic has raised more than $2 million since it began.